Now the Summer is upon us its a great time to get outside and enjoy the garden. 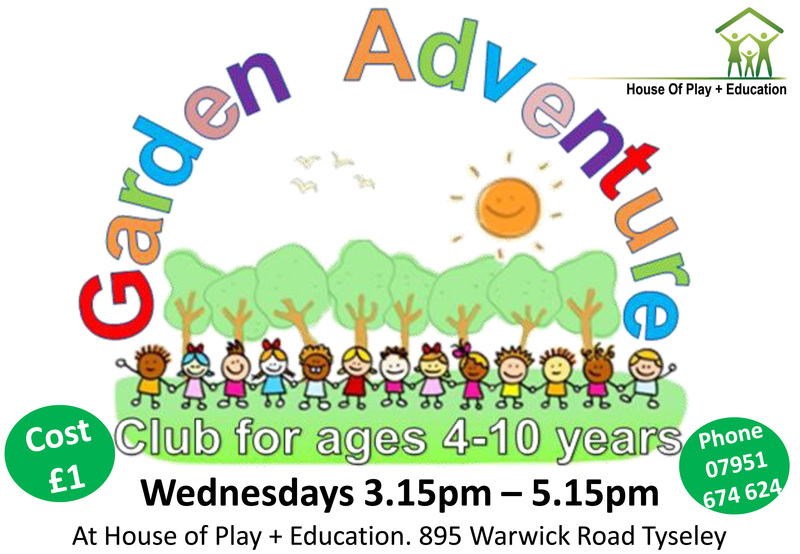 House of Play and Education have launched a new Children’s After School Club. This entry was posted in holiday activities and tagged Acocks Green, after school club, children's activities, Garden, outdoor, play. Bookmark the permalink.